The Harakeke Room is the Education Room within the Whanganui Resource Recovery Centre. We are committed to increasing public understanding around reducing, reusing and recycling and we know educating the next generation is key to creating a sustainable future. 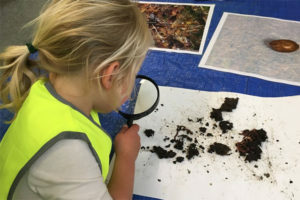 On-site tours and educational activities are offered through the Whanganui Resource Recovery Centre for pre-school, school, after-school, and adult groups. Please contact the Environmental Education Officer to discuss your group visit.